Find both Acrobat XI Pro and Standard versions on sale at Amazon for up to $29.00 off the list price – Including on the download versions. You can also choose to buy the Standard version at $26.53 off (9%) which bring it down to around $272.47 per license. Two versions are available – Either the boxed version with free shipping or instant download versions. We prefer the downloads as they are usually priced slightly cheaper, available immediately without waiting for any boxes to arrive and the activation key will always be stored in your Amazon account so you’ll know where to find it if you’ll need to ever reinstall the software. Amazon’s prices tend to vary on a daily based, even between the Mac and PC versions, so see site for full offer details. Purchase it by April 15, 2019. Sale prices will vary. Save when you show your school ID. One of our favorite deals on Adobe software is found when buying through their student discount program. Not only are these the exact same versions as the regular full-priced ones, but that are heavily discounted. On Acrobat XI Pro, students save a little bit over 60%, bringing the price to just $119.00. Verification is usually pretty quick and easy – Just provide a photocopy of your current school ID card (must have this years date on it) or copy of your transcript. There are no age restrictions so even if you have a child in elementary school then they can qualify for the discount. Offer valid for qualifying students & teachers only. Get Acrobat as a subscription. 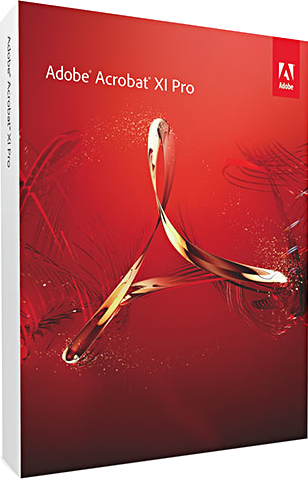 Acrobat XI Professional is part of Adobe’s new Creative Cloud subscription. For as low as $49.95 per month, you have full access to the latest version Acrobat and Adobe’s other popular products like Photoshop, Illustrator, Lightroom, InDesign and more. Signup on a month-to-month basis and cancel anytime (a good solution for those with short-term projects and don’t want to pay thousands up-front for Adobe’s products). And because this is a subscription, all future upgrades (i.e. Acrobat 12, 13, 14, etc.) are free as long as your subscription membership is active. Sale prices will vary depending on the subscription duration chosen. Available at select local retailers. If you have a slow internet connection and don’t want to sit around and wait for Acrobat to download, or if you just prefer to stop by at your local store to buy a copy, then be sure to go to a store that offers a low price guarantee. Both Staples and Best Buy are authorized resellers of Adobe software and should honor price matches to some of their largest competitors (including the top online ones like Amazon). Just find the lowest price from an authorized Adobe software retailer and present it to your local store at time of purchase. The store manger should honor the competitor’s price and do a manual adjustment. Are you using an older version of Acrobat and are wondering what some of the new features look like? Or are you using the free reader and are looking for a program to help make PDF files as well? Then be sure to download and try the Acrobat XI free trial version. Adobe gives you 30 days of full use before you need to enter an activation code to turn it into a copy that you own. There is no obligation to buy if you decide not to get it. If you do, just enter the license key from the version you buy (no need to reinstall the software again). His offer is only available to new users who have not tried the software before. When will Acrobat 12 be released? Not sure if worth waiting for the next release of Acrobat 12 (or XII or whatever it will be called)? Well, we’re watching all of the latest news and rumors. As we now see it, we expect the next release to happen sometime in Q4 later this year, probably sometime between October and December. We’re not expecting any dramatic changes to this next release so you should be safe buying this current version (and it’ll likely cost you less now than at the release as discounts are rare after the first few months after a product launches). Often when we think of PDF documents we think of Adobe. Well, there are a number of other software programs out there that will help you create professional looking PDF documents. 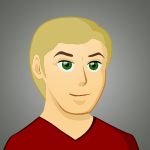 One of our favorites is PDF Fusion made by Corel. Not only will it do 90% of what Acrobat can do, but it’s priced for about 2/3 cheaper as well. Plus, you can now save up to 60% on select versions on sale through to the end of this month. Has a promotion code on this page expired? We spend countless hours checking and re-checking all of our offers on a regular basis, but sometimes one can slip through the cracks. If you’ve found that one of our Acrobat promotion codes or posted sale prices is invalid or not working, then please let us know. We’ll investigate this issue and get back to you on what alternative offer you can use to save the most on your purchase at Adobe.com or one of their officially authorized resellers.